So far, Queenie has chased down a handbag thief, a naughty hat thief but this time the Queen is on the trail of something extra special. 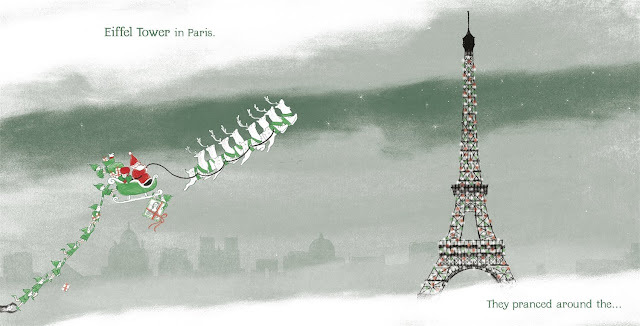 She needs some presents for her grandchildren, and with a little help from Santa, takes off on a whirlwind tour of the world searching for those extra special gifts. There are so many fantastic little details worked into Steve's illustrations so once you've been swept up by the story, the whole book becomes a "spot the.." competition between Charlotte and I. 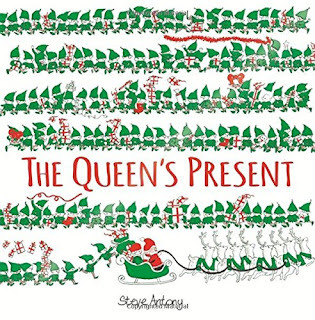 The story scoots along at a frenzied pace as Santa's elves and reindeer all join the chase (along with the Queen's long suffering butler and a whole host of barking corgis). A lovely christmas message and as with the previous books, the best part is spotting all the 'hidden' little things that crop up during the tale. Scooting over Paris, prancing around the Eiffel Tower with Santa and his helpers! 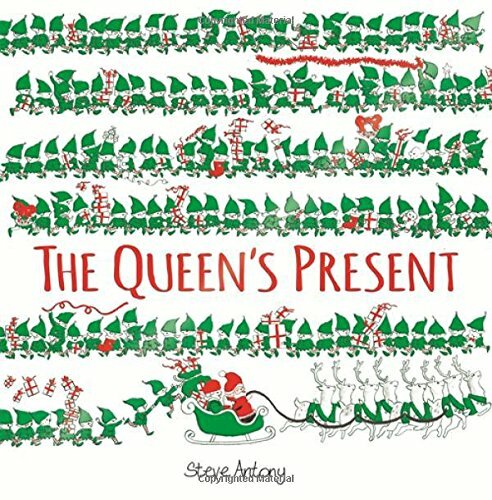 It's utterly brilliant and if you're a fan of "The Queen's Hat" and "The Queen's Handbag" you're really going to love this special festive edition! Daddy's favourite bit: Sheer brilliance in book form, a wonderful festive entertaining romp through the skies in search of the perfect pressie (and we truly loved the message at the end!) Steve is such a lovely fellah and really deserves all the success he's garnered and we really hope he has an amazing 2017 too!